We Learn. We Collaborate. We Celebrate. CCS Online Kindergarten Registration - happening now! We need YOUR help to keep this annual event going. How can you help? Donate to your classroom’s themed basket raffle. More information will be coming from your child’s teacher. 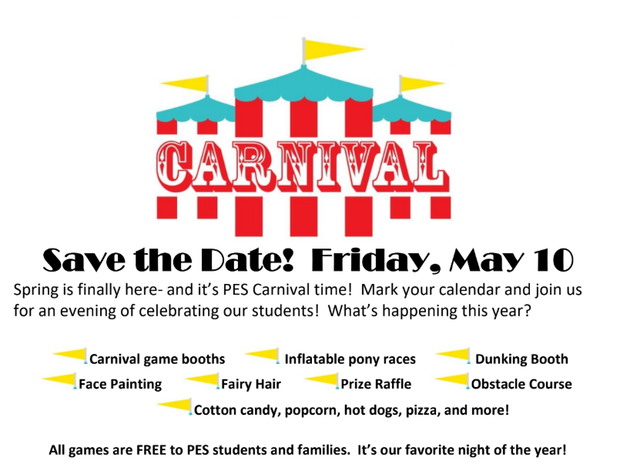 Each year we raffle fun, themed baskets to the Pittsboro community to raise funds for PES field trips AND to keep our carnival a free event for our students. Volunteer! Run a game booth! Baseball Toss! Nerf Dart Shootout! Spend a fun evening with your kids, AND help with an activity and be a hero! Register online at https://www.signupgenius.com/go/508044DAAAA2AA4F85-pescarnival. Yes-- that’s a long link- don’t worry- it’s in your email ☺ Questions? Contact Doug.Ens@bellsbranch.com or text Doug at 919-200-2100. Panda Dance Team at the Talent Show! This year we have experienced significant drainage and pipe issues at PES. Upon investigation, it was determined that the three large trees close to the building in front of the school are creating this issue. These trees have also begun to lift the sidewalk and if not addressed, will create building foundation issues in the future. We wanted to reach to inform our family community that these three trees will be removed. The work will begin sometime this spring. Then over the summer we will have landscaping work to address the drainage issue. We are looking for suggestions on the new landscaping and options for potential uses of the wood to benefit our school community. Some initial suggestions have been to donate for firewood to families in need and/or to create a piece of furniture or artwork to remain at the school. If you have other ideas or would like to support these efforts please email me. #WeCelebrate our #PandaFamily that have demonstrated our school PAWS expectations!! Positive Attitude - Always Be Respectful - Work Hard - Stay Safe. Fill out this online form or a paper form in the main office and we will share during our morning announcements to refer a PES staff member for a #PAWSitiveOfficeReferral. We are forming committees to manage Staff Appreciation Week, Spring Raffle and our Spring Carnival. We are in need of Volunteers to help with these events, especially the Carnival where our new Chair will need lots of help. I you are interested an any of these committees, please contact Amanda Klier at ptopta@gmail.com. Finally, we have several board members stepping down at the end of this school year, so we need volunteers willing to help run the PTA next year. If this is something you are interested in, please contact our Nominating Committee Chair Lindsay Sturtz at sturtzfamily@mac.com. 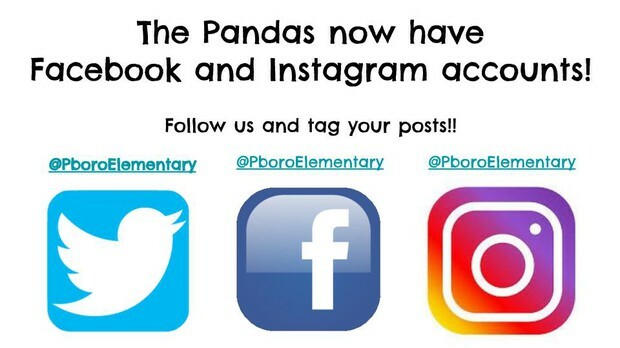 Follow @PboroElementary on Facebook, Instagram, and Twitter for updates! @PittsboroPTA is also on Twitter and @PBOPTA on Facebook. 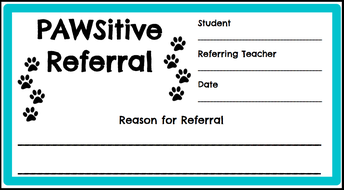 We will continue to use the hashtag #PESAllKidsCan, but encourage you to join us in using #PES1819, #PAWSome, and #PandaFamily.